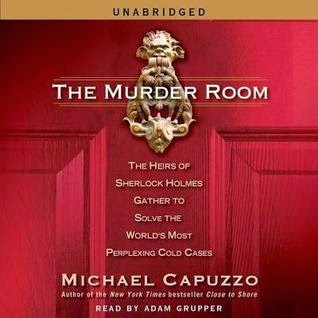 I've been listening to "The Murder Room: The Heirs of Sherlock Holmes Gather to Solve the World's Most Perplexing Cold Cases" by Michael Capuzzo, narrated by Adam Grupper. I'm still working through "The Best American Nonrequired Reading of 2014" on ebook, and about to start "The Amazing Adventures of Kavalier & Clay" by Michael Chabon for DC book club. Jonathan Franzen announced a new book to be released September of 2015. EW names 50 books every kid should read. Kirkus listed their best fiction books of the year this week - I added a bunch to my TBR list. Ursula K. LeGuin gave a fantastic acceptance speech at the National Book Awards this week - transcript here.